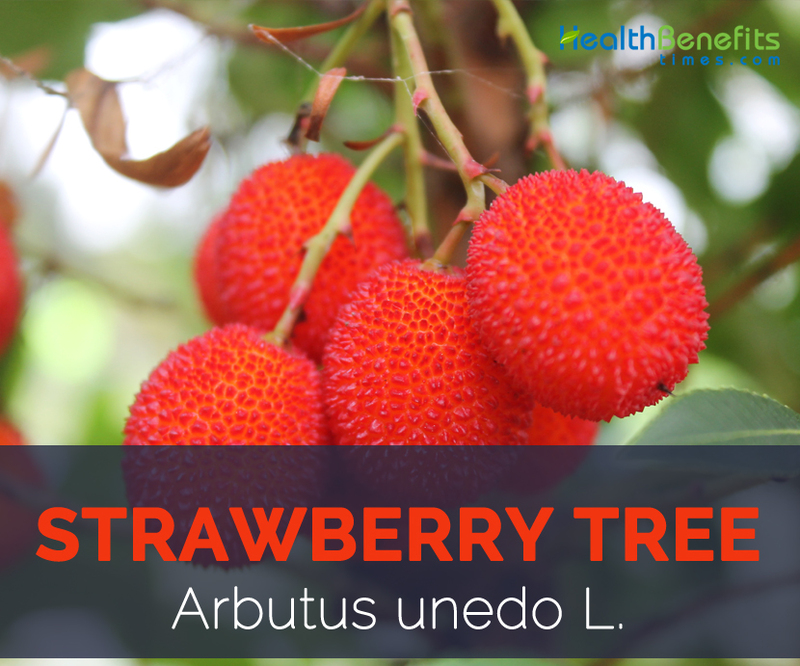 Scientific Name: Arbutus unedo L.
Arbutus unedo, commonly called strawberry tree, is an evergreen tree, shrub or small tree in the family Ericaceae that is native from the Mediterranean to Ireland. 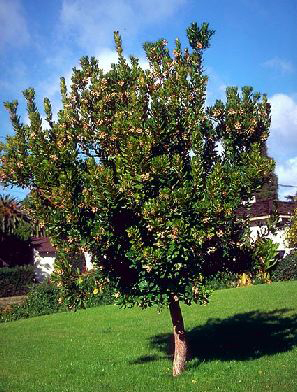 It typically grows in a multi-stemmed form, but can be trained as a single trunk tree. Due to its presence in southwest and northwest Ireland, it is known as either “Irish strawberry tree”, or Cain or cane apple (from the Gaelic name for the tree, caithne, or sometimes “Killarney strawberry tree”. Apart from Arbutus unedo it is also known as Arbutus, Strawberry tree, Grecian madrone, Grecian strawberry tree and Greek strawberry tree. Its fruits are edible and its fruits and leaves are used in folk medicine for diverse purposes. Strawberry tree is a broadleaf evergreen, slow-growing large shrub or small tree growing 9 meters tall and 8 meters wide. It grows well in sun or semi-shade. This is a very good tree to grow in towns because it tolerates industrial pollution. It is normally found growing in acidic, alkaline, loamy, moist, sandy, well-drained and clay soils. It tolerates wet sites but does best in well-drained areas that do not experience severe drought. 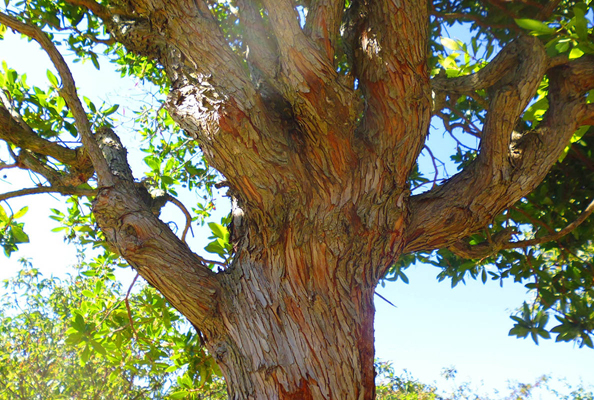 Bark is rough and scaly, grey or grey-brown. Young bark is red-brown and gives off fibers. Young shoots are hairy. The plant has grayish-brown trunk diameter of up to 80 cm. Leaves are dark green and glossy, 5–10 cm (2–4 in) long and 2–3 cm (0.8–1.2 in) broad, with a serrated margin. 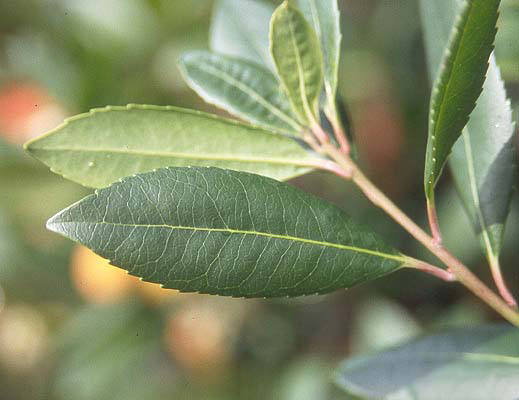 The upper surfaces of the leaves are a very glossy dark green color, while the undersides are paler. Flowers are white (rarely pale pink), bell-shaped, 4–6 mm diameter, produced panicles of 10–30 together in autumn. Flowering normally starts from October to December. The flowers have a soft honey scent. This is a wonderful plant to grow as a specimen in a lawn, and it also grows very well on the sunny boundaries of a woodland garden. Strawberry tree produces spherical fruits, about 2 cm in diameter, dark red, and tasty only when fully ripen in autumn. Fruits start out yellow and gradually change to red as they mature. The fruit takes 12 months to ripen and so the tree carries both mature fruit and flowers at the same time and is extremely beautiful at this time. 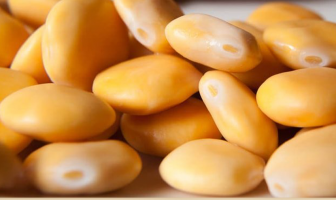 The fruit has a rough skin and white to golden color flesh with a soft jelly-like consistency. It has delicate pleasant flavor and tastes similar to a fig. However, some people find it bland, meally and tasteless. 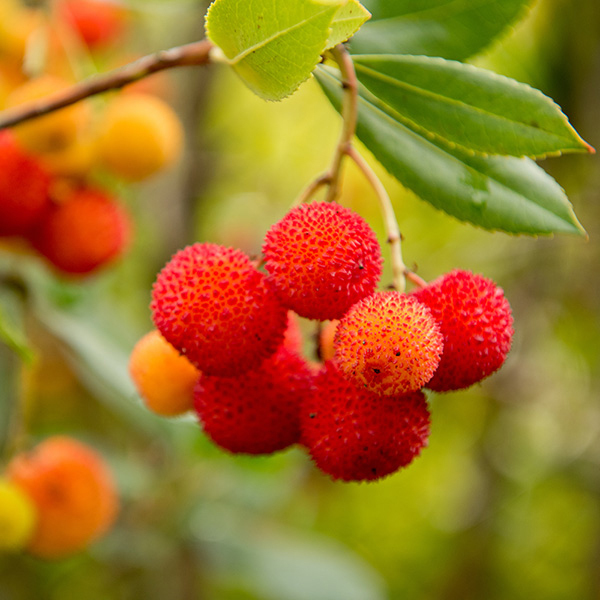 Arbutus unedo berries are rarely eaten as fresh fruits but have some importance in local agricultural communities which use them for the production of alcoholic beverages, jams, jellies and marmalades. Its fruits are edible and its fruits and leaves are used in folk medicine for diverse purposes. 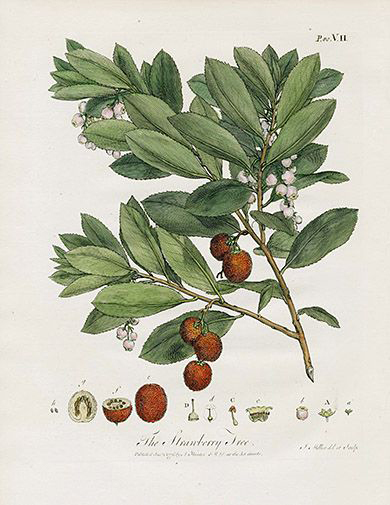 The Strawberry tree is native to Western Europe, France, Ireland and the Mediterranean region. It has been widely naturalized throughout the coastal Mediterranean, Northern Africa and the Americas. Though it continues to grow wild, it is also cultivated simply for ornamental purposes. They are also a renal antiseptic and so are of use in the treatment of affections of the urinary system such as cystitis and urethritis. A gargle can be made for treating sore and irritated throats. 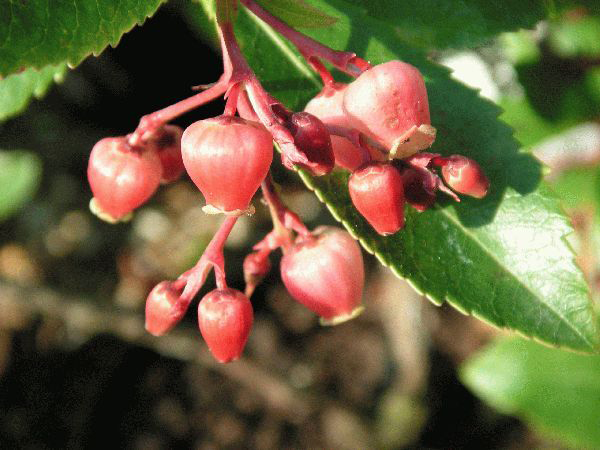 To counteract diarrhea and circulatory disorders is useful to take a decoction made with 20 grams of leaves of arbutus combined with the same quantity of bramble leaves that are then boiled for 5 minutes in a pot of water. At the end let the mixture stands for 10 minutes after which filter and drink two cups a day. The decoction of leaves or roots has been traditionally employed against diarrhea in Spain. In Algeria and Cyprus, the fruit liqueur is also considered anti-diarrhoeic. In Cyprus, it is also said to have aphrodisiac and sedative effects. It has antiseptic properties that seem to explain why it is widely used against respiratory problems, wounds, and other skin infections and specifically as anti-parasitic for scabies. Fruits are also used to make jams, beverages, and liqueurs (such as the Portuguese medronho, a type of strong brandy). Honey from Strawberry Trees, commonly known as “bitter honey” is produced in southern Portugal and Sardinia. The fruits of this small tree have been traditionally consumed, raw as a snack, as a dessert or, sometimes, used for elaborating jam or liqueurs, in most of the Mediterranean countries. 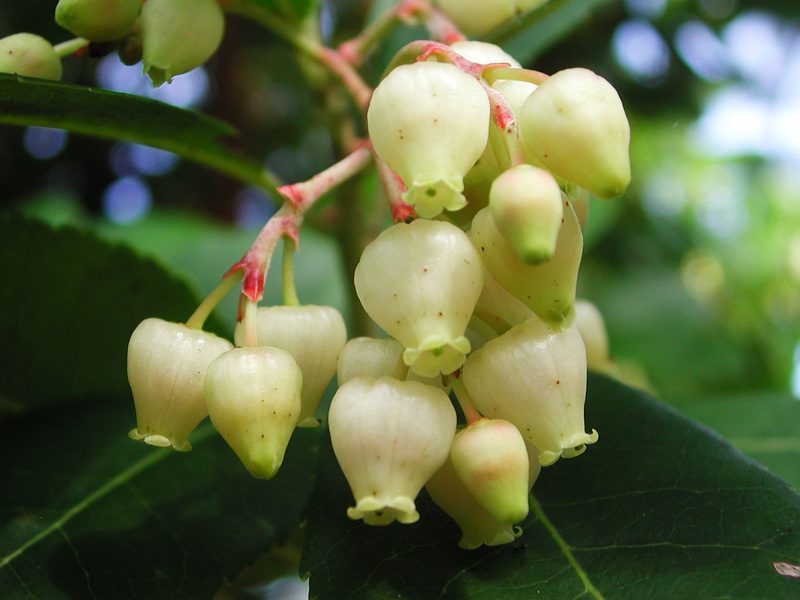 Arbutus unedo serves as a bee plant for honey production, and the fruits are food for birds. 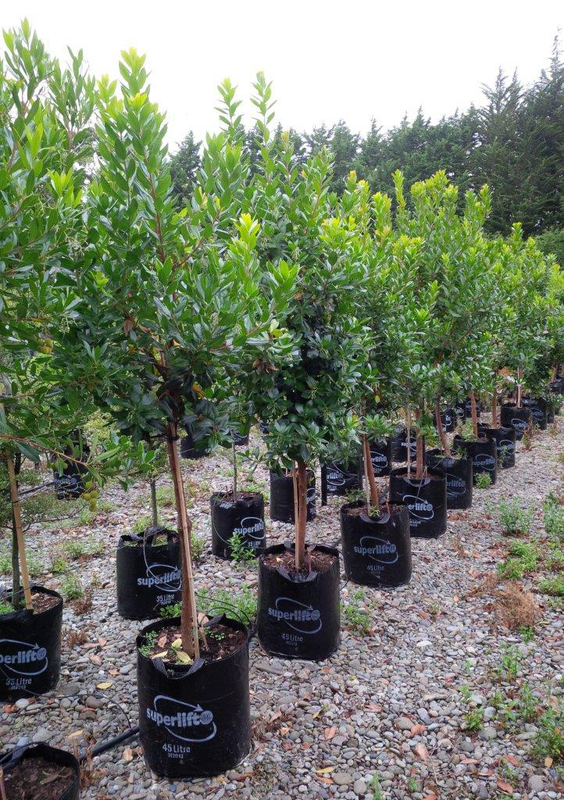 Arbutus unedo is grown as ornamental plant by plant nurseries. Tannin is obtained from the leaves, bark and fruit. It makes a good charcoal. 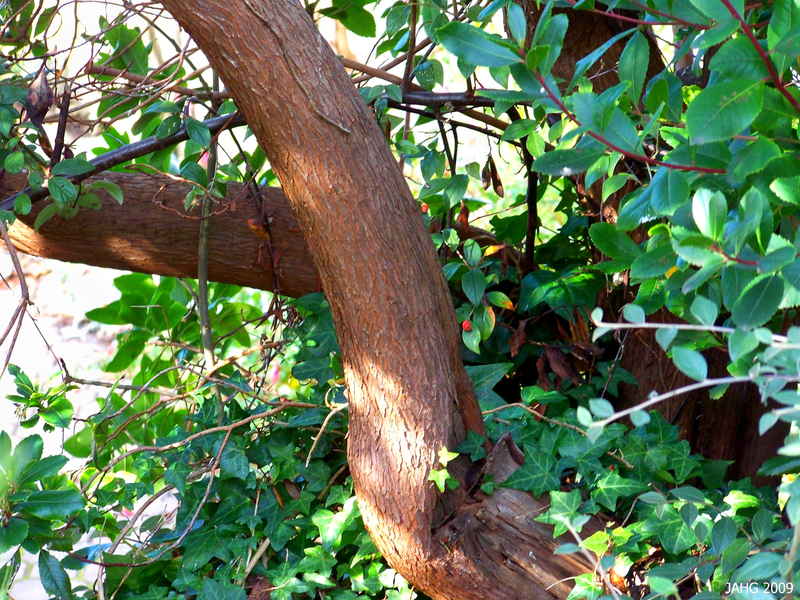 The strawberry tree wood is used to make utensils, bowls, and pipes. Its hard wood has been used as firewood and for making spoons and other domestic tools. Nowadays, A. unedo is widely cultivated as an ornamental tree and has become very popular both in public and private gardens. Arbutus unedo var. ellipsoidea Aznov. Calories 167 K cal. Calories from Fat 5.13 K cal.